Before I came to Shanghai, I didn’t know I was going to come to Shanghai. I didn’t dream about Shanghai as a child. I didn’t plan to move to China. 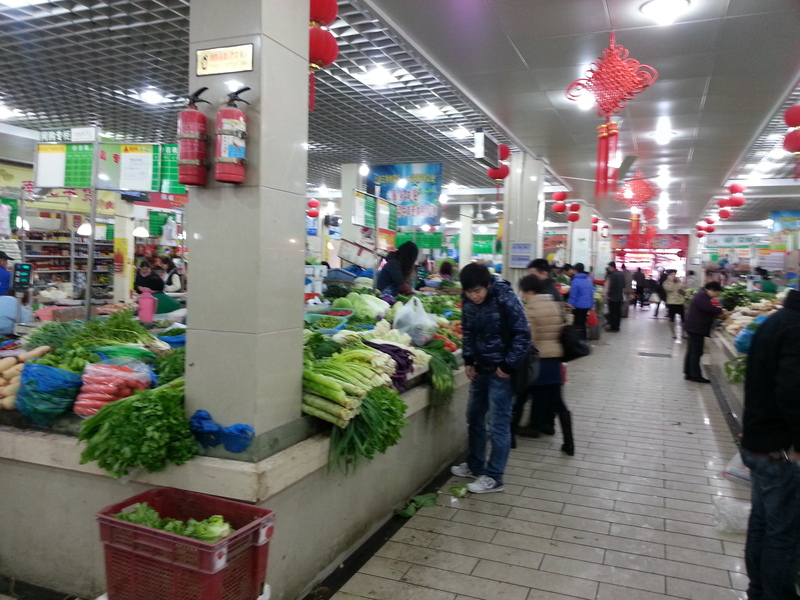 My local grocer now: vegetables, meat, eggs, tofu, all in an open market. Not at all like Stop & Shop! But somewhere a few minutes into my graduate program in English Literature I learned something I hadn’t known when I applied to graduate school: if I wanted to pursue being a professor in English Literature, it was very unlikely that I was going to get to choose my city. During graduate school, before the job market, I went back and forth on this, from “I will take any job I can find in the city or cities I love” to “I’ll take a good job anywhere!” Of course, by the time the job market rolled around, both of those sentiments were dialed back a bit. My experience in picking up and moving to Shanghai for an undefined period of time has got me thinking a lot about how this experience is unusual, but this week, I’ve been thinking a lot about how this is the experience of many, if not most, junior academics. Sometimes, unexpected goods. 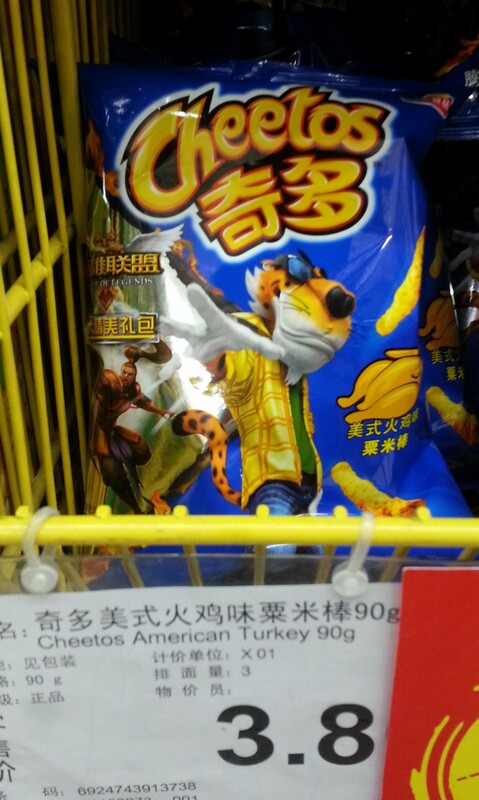 The tag says these are “American Turkey” flavored Cheetoes! I was lucky that I had been to Shanghai before. When I think about the number of junior academics who take jobs across the country or across the world having never been in their new home for more than a campus visit, or perhaps a quick trip with a realtor to find an apartment, I realize that I was very lucky to have a few relaxed weeks here last summer. So when I arrived, I might not have known the most convenient stores, but I knew a lot! I knew the kinds of goods that most local Chinese grocery stores carry, or perhaps most importantly, the goods they were unlikely to carry. I knew how to tell soy sauce from very dark rice vinegar on the shelf. I knew which brand of bottled water I liked best, and more important than that, I knew not to drink the tap water… and why. These things didn’t make up my dissertation, but they are the very stuff of a functional life in a new city. Where do you find the goods you need to eat, sleep, brush your teeth? Even a move as culturally un-shocking as my move from undergrad in New York to grad in the Boston area required a shift from Duane Reade to CVS, from Grand Union to Stop and Shop, and then further nuancing from there. Here, where none of the shops have familiar names, and where I cannot read the labels on most of the goods, those challenges are heightened, but they are not unique. Yet, shopping for groceries and laundry soap doesn’t complete a new-city life. I have very few relationships here. I am here with my partner for this semester, due to a timely sabbatical, but in the fall, I will be living alone, and I have to think about how to construct a life that will not only involve lurking on the internet, waiting for my friends in EST (or UTC -5 as I’m growing used to calling it, here in UTC +8) to wake up. I started to take up running while back in the states, thinking that I had seen running clubs and the like in Shanghai, but it turned out my (recovering but not fully healed, or, um heeled) plantar fasciitis wouldn’t allow a real running program. I love cycling, but the roads and traffic here have me a bit leery of striking out on two wheels. (And really, the air pollution here suggests that outdoor exercise might not be the wisest path…) So, I finally found a yoga studio, with classes both bilingual and in Chinese. (I have learned to recognize “inhale” and “exhale” in Chinese!). I haven’t made friends at the studio yet, but I’m not without hope. In the meantime, a membership to a lovely yoga studio is a present I’ve given myself to make sure I’m up and out and doing something. My local grocer has more kinds of tofu than I’ve ever seen before. When I moved to Boston, I didn’t find the culture shock noticeable. It turns out, I think, that that had more to do with my ability to notice, than it did with a strong similarity between New York and Boston. Over time, yes, I learned to take the Red Socks seriously, or at least the fans, I suppose since I never went to a game. I learned the the Kennedys meant something different. I learned traditional associations with places, neighborhoods, historical moments. But I never studied them, and made a lot of Boston-faux-pas in the process of learning my way around. (Many, if not most of them, involving the Red Socks.) Shanghai has been a blessing because it’s so clearly different, I don’t have to wonder whether I should be researching actively–I must! So I’m working hard on Chinese–after two weeks I can understand and communicate successfully in most basic retail and taxi transactions. I am also being willing to ask questions that in the past felt stupid: “Is this common here?” “Is this done this way everywhere in China or is this a Shanghai thing?” “What is the appropriate way to do this?” A born and bred Brooklynite, my instinct is to power through and make mistakes and hope for the best. Turns out, though, that asking, and observing, and asking more have great advantages. EDIT: An observant friend pointed out that my thesis about studying a new place being the right way to go is sound, since the name of the team is “Red Sox” not “Red Socks.” Thank you, friend, because I truly would never have noticed on my own! I’m doing some experimenting too! Last time I was here, I met someone who turns out to own a club. Last night, I ventured out (leaving the house about at my usual bedtime!) to see Studio-Shanghai. I don’t know if the folks I met last night are my new best friends, but my goal was to help use this new city to venture even further outside of my comfort zone. Not just stick with one Shanghai, the one of my block and my neighborhood and my school, nor even two Shanghais, including the neighborhood of my yoga studio, but to see if I could really start to engage as many Shanghais as would open to me. I doubt that, at this point in my life, I’m suddenly going to discover my long-lost club-kid identity, but you know what? I’ll probably go back. Because I still don’t know exactly what the identity of PhDeviate in Shanghai is, and I’m eager to find out. 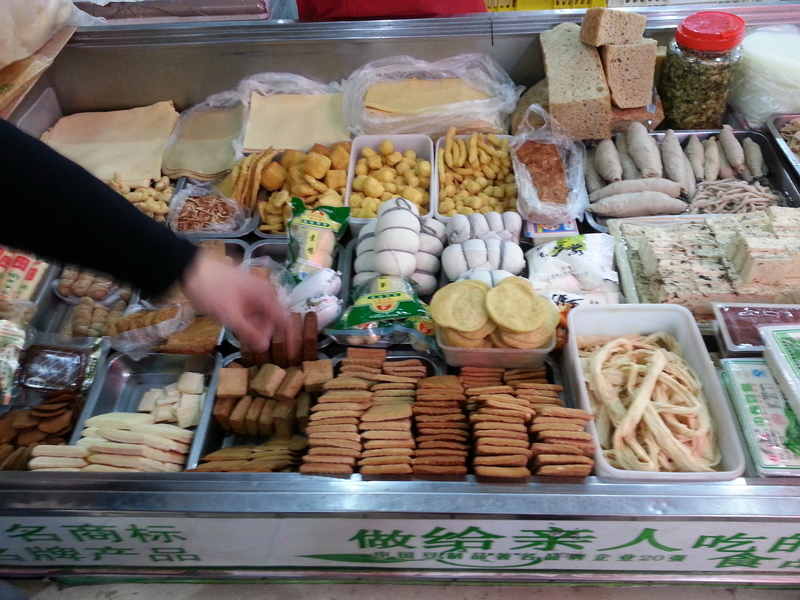 I have used the fine service at is.gd, to make easily shareable links to the various Shanghai Chronicles.